Lakshmi Ayurveda – A centre for promoting health and wellbeing. Our focus is to offer practical advice through consultation on diet and lifestyle, aiming to restore or improve one’s health through massage, immunity enhancing treatments, Panchakarma (body purification) and the use of organic herbal supplements. Our objective is to teach individuals how to create and maintain balance in their body and mind by providing safe, effective and authentic organic Ayurvedic medicines and therapies. 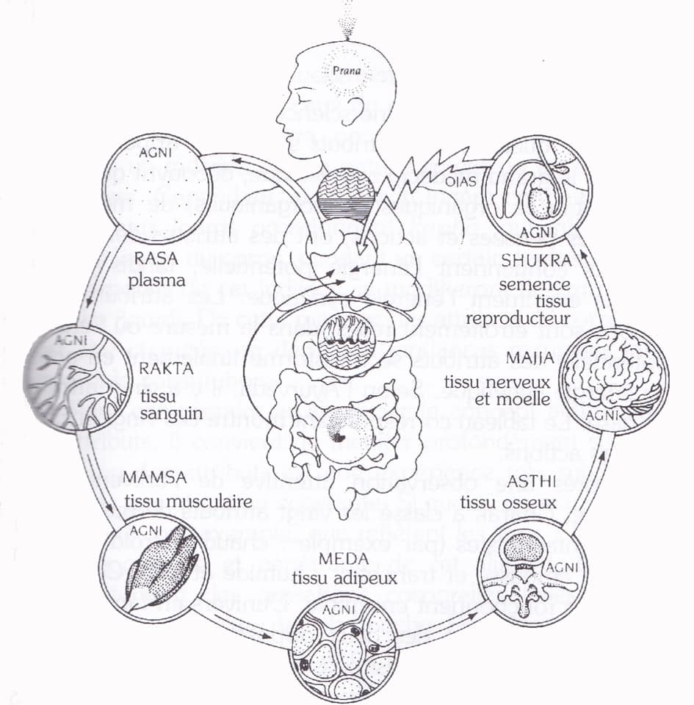 Lakshmi Ayurveda is primarily concerned with disease prevention, cure and rejuvenation (Rasayana). Ayurveda is an ideal complement to western medicine in the treatment of skin problems, high blood pressure, high cholesterol, arthritis, irritable bowel syndrome, obesity, diabetes, infertility and mental disorders. 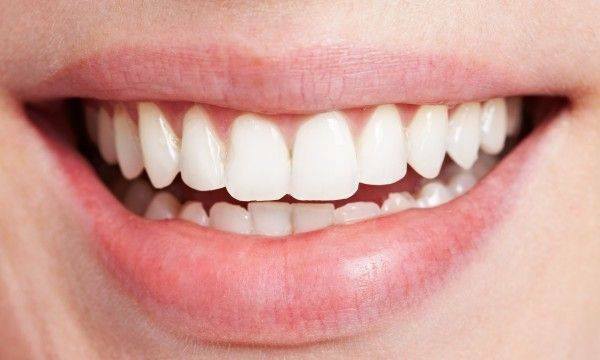 We aspire to bring joy to our patients as only a healthy body, mind and spirit can experience. 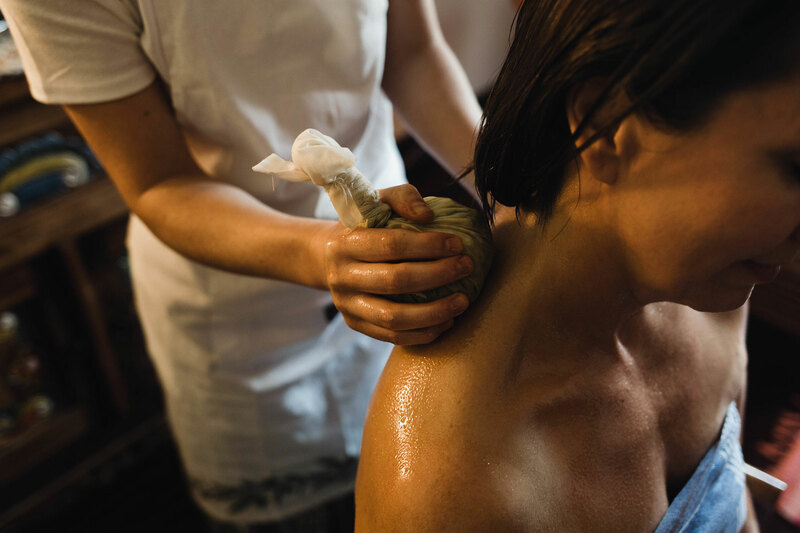 Lakshmi Ayurveda is run by a fully accredited and qualified Ayurveda practitioner. AN EXCITING MILESTONE reached at Lakshmi Ayurveda! We have put the final touches on the first Lakshmi Team Ebook! An electronic version of the book is available now for $30. 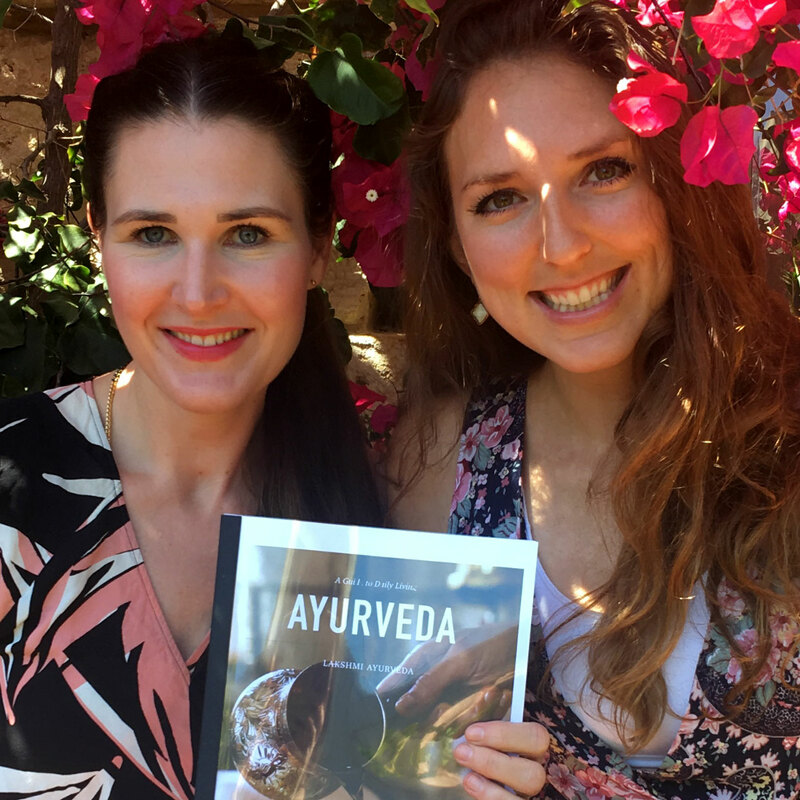 The book includes 250+ pages focusing on the fundamental principles of Ayurveda, recipes, spices, seasonal routine, yoga, meditation, pranayama, and more. You are welcome to order the book through our online shop. In addition, we will donate $2 of each book sold to Australian and International charities supporting the underprivileged, neglected, and abused. Karin is a professional clinical nurse, starting her career in her native Germany. She has travelled extensively, working in such places as Africa, the U.K., India and Nepal. Karin has trained and worked in a variety of healthcare fields including travel health medicine, flight and aviation medicine, emergency care, high dependency care and communicable disease prevention. Studying full time including an internship for four years years through Manipal University, she realised a long held dream of pursuing a life of practicing Ayurvedic medicine. She graduated with honours and began her practicum at Alvas College, Moodbidri Karnataka under the tutelage and supervision of Dr Aithal. He provided wonderful support and was a fountain of knowledge throughout Karin’s development. Karin had the opportunity to complete her practicum at Ayurcare, a private practice operated by Dr Gautham, a well known Ayurvedic physician in Mangalore, Karnataka. An inspiration, a delight and a privilege to work with, Dr Gautham was an incredible source of information and guidance. Karin travels to India on a frequent basis for professional development, to attend and speak at Ayurvedic conferences. Recently she attended Dr Mahadevan and Dr Gopakumar’s Panchakarma workshop in Bangalore. She also stayed at Dr Mahadevan’s Gurukulam in the beautiful area of the Tamil Nadu. Dr Mahadevan is an inspiration to Karin and a Guru of Ayurveda. Karin also deeply acknowledges her teacher Dr Gayathri Bhat Professor Prasoothi Tantra and Stree Roga/ Ayurvedic Gynaecology and women’s health, whose guidance always enlightens and inspires. Karin is also an international certified infant massage instructor and loves to incorporate this into her Ayurvedic postpartum care. A life dedicated to healthcare, Karin hopes to bring authentic Ayurvedic medicine to all those seeking health and happiness. 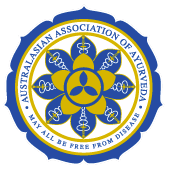 Karin is a professional member of the Australasian Association of Ayurveda and the former representative for Western Australia. 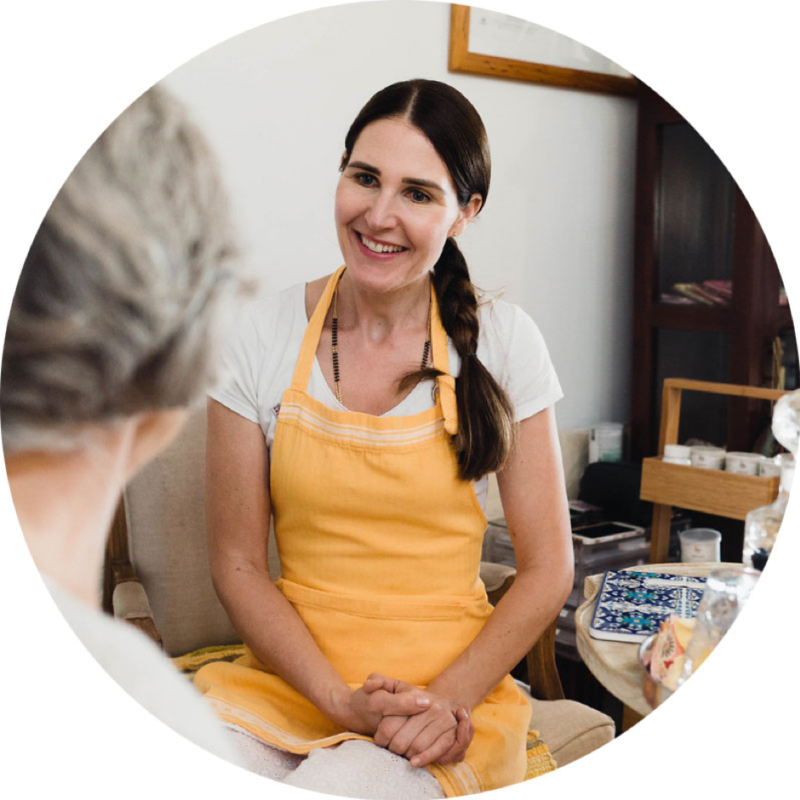 Karin has three wonderful treatment therapists, to support her at the clinic, as well as a Yoga therapist. 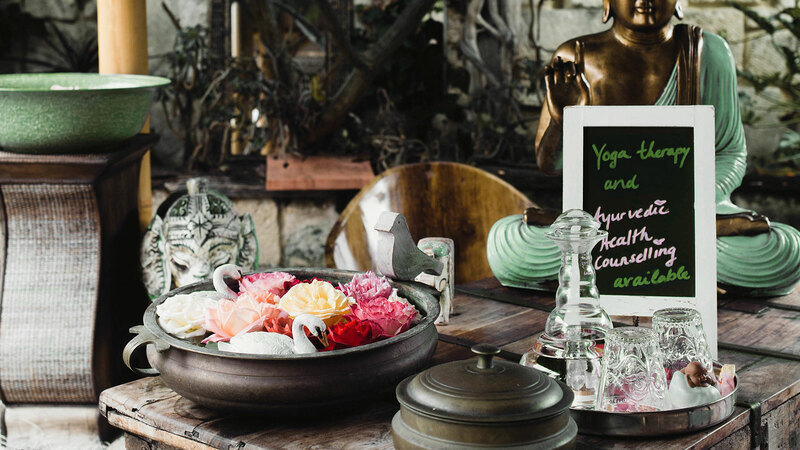 Stay up to date with what is happening at Lakshmi Ayurveda.